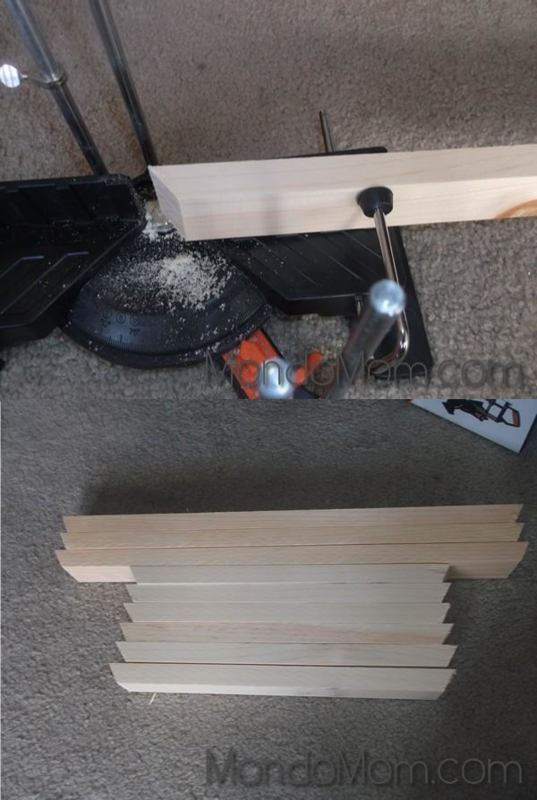 These DIY wooden triangle shelves are the perfect mix of beauty and function. They are adorable little shelves that bring so much interest to a bare wall. Since they are, after all, shelves, they can hold small vases and picture frames and other cute knick knacks. Of course, they’re not boring, straight shelves. They’re in the shape of triangles! I love the way they turned out. Here’s a sneak peek! 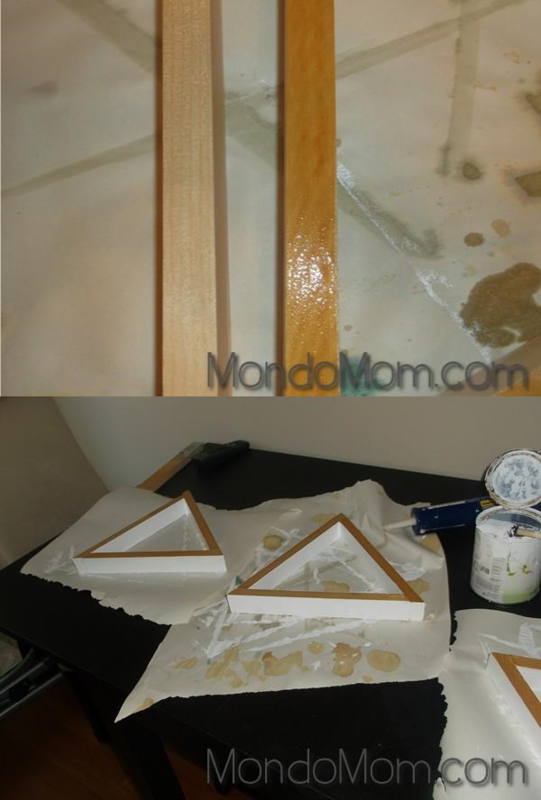 I will share the tutorial now on how I made these adorable wooden triangle shelves. I was inspired by this post. 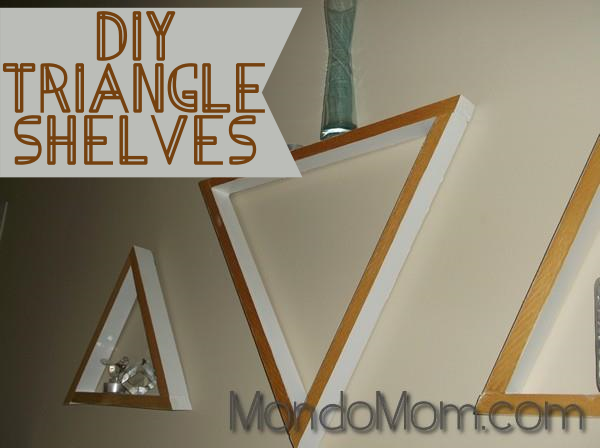 Making these triangle shelves is definitely a do-able DIY project, but keep in mind it’s not one you could finish in an hour. It took me about two days, but obviously a lot of that time was waiting for paint and stain to dry. Also, I used a hand saw, since I didn’t have an electric saw so that meant more time cutting. However, I am very pleased with the finished product, and now I have my sights set on DIY hexagon shelves! 🙂 The creating never ends! Collect your supplies. Start with 1″x2″ boards. NOTE: My shelves are fairly shallow, which I like, but if you want deeper shelves, then you should use wider planks. Cut your planks at 30 degrees. I used a miter box and hand saw, so cutting all the wood took a long time. If you have an electric saw, this step will proceed much more quickly. I cut two 12″ triangles and one 18″ triangle. 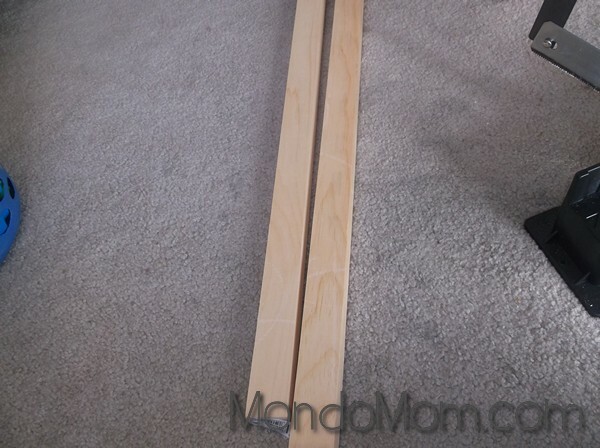 After making one cut, measure 12″ from the longest side and make a cut that is symmetric to the first cut. You will have to flip the board to get the right cut. See the diagram and the pictures below. Line up all your cut boards to ensure uniformity. Using construction adhesive, start assembling the triangles. Place some adhesive the corners and line up the edges. Wipe away excess product. Let dry a few hours. 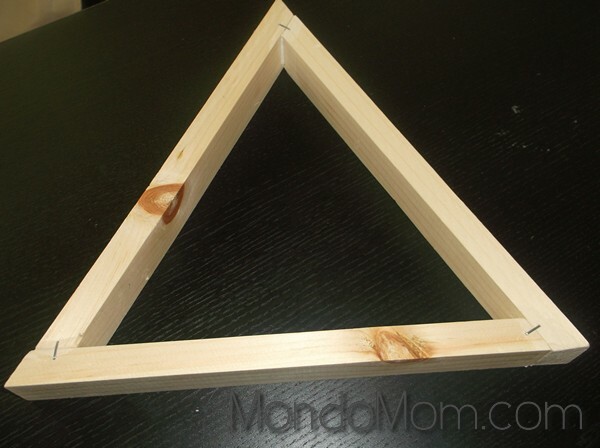 Flip over the triangles and staple along the seams where two pieces of wood join together. I used one staples per seam on the 12″ triangles and two staples per seam on the 18″ triangle. Now, it’s time to color them. I painted the edges a bright white color and stained the fronts of the triangles with my black tea stain. See this post if you want to learn how to use black tea to stain wood! Let dry. 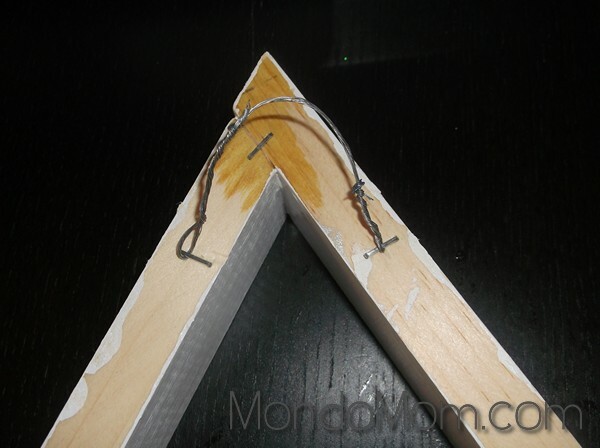 Use picture hanging wire and staples to create little loops on the backs of the triangles for hanging. Time to decorate! My favorite part of the whole process is styling the shelves. Hang them up on the wall and fill them with your favorite treasures! I hope you enjoyed this post and found it useful. If you have any questions whatsoever about the process, feel free to leave a comment below and I’ll get back to you right away! 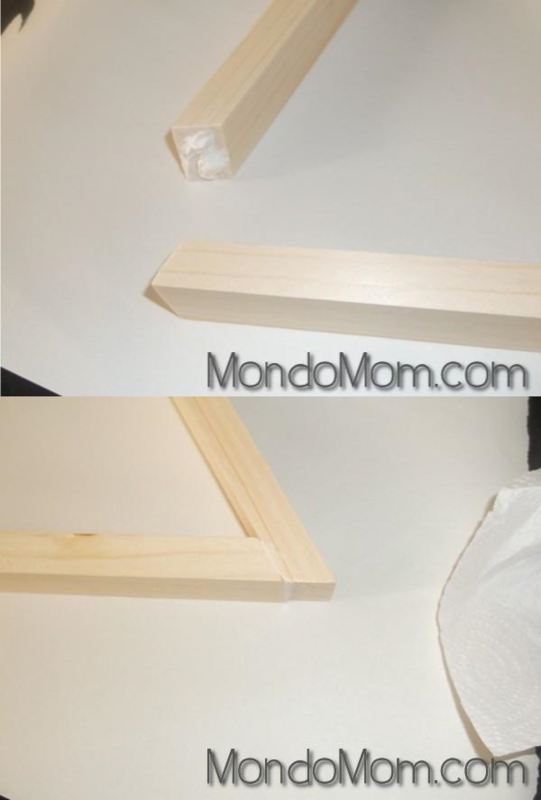 I hope you decide to make these wooden triangle shelves- I’m sure you’ll love them as much as I do! I love this idea! 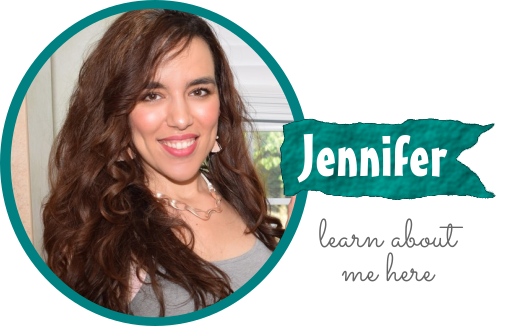 I would love it if you joined and contribute your awesome posts at my link party at City of Creative Dreams , starts on Fridays 😀 Hope to see you there at City of Creative Dreams Link Party. Thanks so much for your comment! 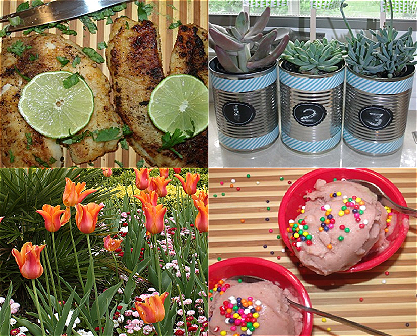 I would love to link this up at your party! Have a great day!